LOGISTICS MANAGEMENT WING plays key role in distributing products to end users through using its network from plant to different parts of the country. Distribution Operation Department, Logistics Admin section, Logistics Promotional Support Section are the main parts of LOGISTCS MANAGEMENT WING. It provides service to valued customers through 15 distribution centers called Distribution Office located at different District Headquarters. 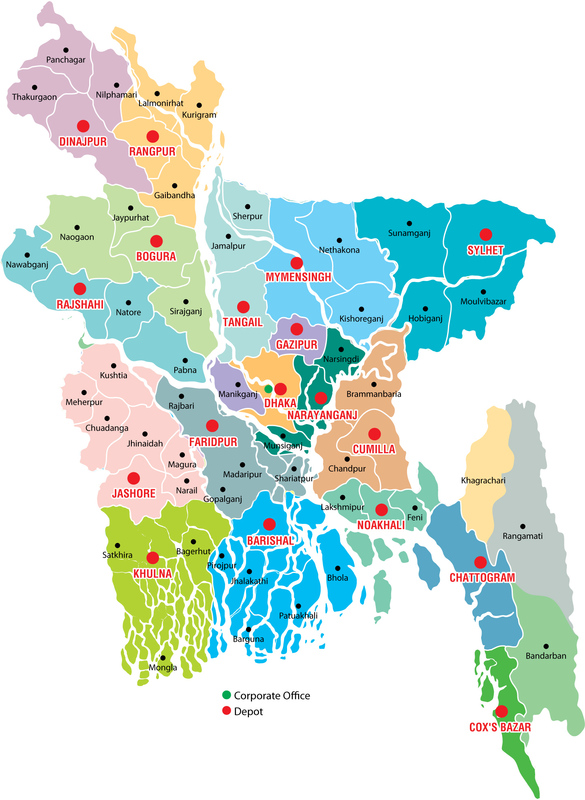 These are: Dhaka, Narayanganj, Comilla, Noakhali, Chittagong, Sylhet, Mymensingh, Tangail. Bogra, Rangpur, Rajshahi, Khulna, Jessore, Faridpur & Barishal. A dedicated & customer friendly professional team leaded by Distribution Officer is working at each Distribution Office.